Engagement. It’s what gets people to connect with your company through your website. Getting engagement from your audience is the biggest challenge we face online. How do you hook someone in so that they stick around when you get the on your site? One effective answer is to start with explainer videos. An explainer video is a short and simple video that presents the basics of your business to visitors. They’re almost always animated and their sole purpose is to give the people watch a clear understanding of a product or service. The visuals are entertaining, and each image serves a specific purpose. There’s no extra fluff or filler here, only useful and palatable information. Short is relative, but most explainer videos are generally 2-3 minutes long. Much longer than that and you’d risk visitors getting bored and moving on. The goal here is to draw users into your site and to help them to become invested in your content right from the start. These typically live on your homepage, though they can be effectively spread around with social media. Embedded in social media, these videos can be an effective hook to entice people to want to learn more on your website. This type of video can be fairly static, a piece that is designed to be evergreen in nature as it highlights the "business" of your business. Or explainer videos can have a shorter lifespan as they highlight a specific campaign or product. Explainer videos answer one stunningly simple question that every visitor to your site has – “What do you do?” Why should they care about your site? What makes you a better place for them to spend time online than the millions of other ways they could be spending time on the Web? Two absolute keys to explainer videos are personality and humor. These two points cannot be overstated as they are the things that draw people in through your video. 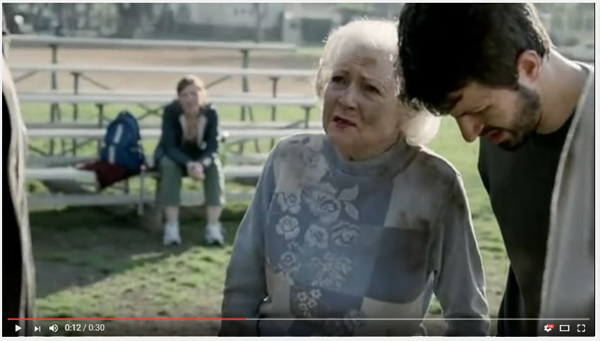 Chew on this - what are the Super Bowl ads that you remember the most? They’re the commercials that made you laugh, or sometimes made you cry. Betty White chasing a Snickers bar through the mud, or the Budweiser Clydesdales bowing to the Statue of Liberty in the wake of 9/11. You might not be reaching for that level of emotion with your simple explainer video, but the idea is still to tap into something beyond the logical brain. The more of your distinct personality that’s infused into your explainer video, the more effective it’s going to be. What’s catchy about these things is their uniqueness. People keep watching because they can’t wait to see what’s coming next. These videos should be light and quick-witted, with jokes and striking visuals utilized at every turn. Stylistically, explainer videos can vary widely depending on the taste and style of your website and your company. There are no rules here, leaving way for a wide breadth of possibility for innovation and creativity. The more distinctive and interesting these videos are, the better will engage potential customers. Present the information about your site in as innovative a way as possible. The reason that explainer videos are so potent is actually based in science. These videos engage the senses more effectively than just plain text. We know that the more the brain is engaged through the senses, the more likely information is going to be retained. Explainer videos reach out to the senses through both sight and sound, but that’s not even the core reason that explainer videos are so effective. They are effective because they appeal to our emotional side. When you elicit an emotional response, you’re shifting to an integrating experience. You’re going from a “you” to a “we." Once you’ve done that, you’re golden in terms of leveraging engagement. You’re talking to the brain on a whole new level. Animation has a different effect on the brain than text or images of real life. It lights up totally different parts of the brain, tapping into that emotional center that lends itself to memorability. That’s why explainer videos are animated, to engage the brain in a different way. We might think of cartoons as being kid stuff, but they work on the adult brain in the same way that they work on a child’s brain. Just as an 8-year-old kid can’t look away from that cartoon on their tablet or TV, the 40-year-old buyer on the other side of the screen can’t look away from your explainer video. The other reality is that attention spans are getting shorter. There are lots of reasons for this, but the why doesn’t matter so much as adapting to the reality of it. What’s important is that your target isn’t going to stick around for long if you don’t do something to keep them around. Explainer videos do just that. Like it or loathe it, people don’t like to read. You’re reading this (thanks by the way! ), but depending on who your target audience is, they might not be keen on reading a massive chunk of text. Words can get lost in the clutter, in part because there are just so many words on the internet. Explainer videos cut through that clutter. People are much more likely to watch a video than they are to read a chunk of text. Even if you’re part of an industry that’s well known, even if you think your customer base already knows what’s up with your business, an explainer video is still a great idea. These short, simple introductions feel personal for visitors to your site. They reach out of the screen and cut through the clutter. Follow him on Twitter @PetePeranzo.